SUSE recently announced a new training partnership with New Horizons Computer Learning Centers in Dubai for the Middle East. New Horizons Dubai, a franchise of New Horizons Inc., the largest independent IT training company in the World and experts in Information Technology training are a provider of comprehensive training solutions for the Middle East-market and worldwide. AirTight Networks, a global leader in cloud managed Wi-Fi, continues to drive its vision of simplifying connectivity to the digital world with the successful launch of new customer and partner-focused online communities. Designed and implemented by Persistent Systems, these online communities are built on, and integrated with, the Salesforce platform to enable peer-to-peer support for both customers and partners, providing a better user experience, higher engagement and faster answers to questions. In response to growing demands from customers, partners and consumers, many organizations are moving beyond corporate social responsibility as a philanthropic activity, according to Gartner, Inc. They are integrating green- and sustainability-related initiatives into their core business operations. Swipe Technologies has announced the launch of its flagship smartphone ELITE 2. ELITE 2 is Swipe’s most affordable 4G device to be sold exclusively on Flipkart from 8th November 2015. The device is competitively priced at Rs 4,666 only. The company has also announced the EXCLUSIVE PREVIEW SALE of ELITE 2 for Uber customers, where in Swipe will deliver ELITE 2 directly to Uber customers in Pune, Hyderabad, Bangalore and Delhi. India’s leading online fashion marketplace, Jabong, has announced that it has appointed Mr. Sanjeev Mohanty as Chief Executive Officer (CEO) and Managing Director effective early December 2015. 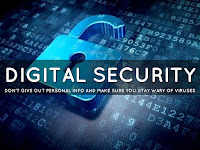 Affinion International has issued a list of tips that help brits from cyberattacks. Conumers in Britain can take steps to better protect their information online. The advice comes in the wake of last week’s data breach at telecommunications provider TalkTalk. Array Networks announces that Trapp Technology has selected Array's APV series application delivery controllers (ADCs) for high service performance and availability for hosted business applications and to deliver a premium user experience. Edimax Technology announced their toll free number to support the queries of customers and partners. This toll free number is in addition to the existing online support and direct numbers. Customers can get first-hand information on pre-sale/post-sale queries from the technical support team- L1 from the toll free number and further can get connected to their L2 support team on direct numbers/online. Edimax is providing door to door replacement service with the SMS updates even in remote areas. 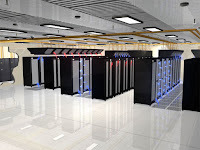 Faced with exponential growth in demand for satellite broadcaster and interactive TV services, Tata Sky, one of India’s leading Direct-To-Home (DTH) satellite broadcasters, has selected an advanced networking system from Brocade to significantly boost data center capacity. Routesms, one of the top global SMS aggregators and leading messaging & voice API companies, announced that Norway headquartered Telenor has signed up as a Global Direct Connect Partner (GDCP). Today at OpenStack Summit Tokyo 2015, HP announced the availability of HP Helion OpenStack 2.0, a production ready, open source based cloud platform designed to meet enterprise requirements. As organizations strive for the right mix of traditional IT and private cloud technology to run their mission-critical applications and protect sensitive data, many are turning to the flexibility and economics of the OpenStack project. The rate of investment in IT at airports around the world is rising – the latest figures from SITA estimate it will hit US$8.7 billion in 2015. This forecast is a climb from 5.82% of revenues in 2014 to 6.25% this year. Airport Chief Information Officers (CIOs) are also predicting even higher budgets for 2016 with 64% expecting an increase over this year. Nuance Communications announced the appointment of Rajeev Soni as its new Managing Director, South Asia, for the company’s Enterprise and Mobile businesses. In this role, Rajeev will be responsible for spearheading the growth and operations in the South Asian market with a focus on strengthening Nuance’s position as a leader in intelligent speech language technologies, delivering a better customer experience and cost reduction within the region. Based in Mumbai, Rajeev will report to Jason Stirling, senior vice president and general manager, Nuance, Asia Pacific. Red Hat and Black Duck Software, a global leader in automated solutions for securing and managing open source software, today announced a collaboration to establish a secure and trusted model for containerized application delivery by providing verification that application containers are free from known vulnerabilities and include only certified content. This validation is a major step forward in enabling enterprise-ready application containers, and builds upon the strengths of each company – Red Hat’s leadership in container technologies and solutions, including its platform and certification strategy, and Black Duck’s unique position as the provider of the most comprehensive identification and earliest notification technologies of open source vulnerabilities. We’re entering the era of the Internet of Things (IoT) in which billions of devices will communicate with their users and each other to make the world work better—we hope. From 14 to 16 December, the second IEEE World Forum on Internet of Things (WF-IoT) will gather about 350 industry leaders, academics, entrepreneurs, government policymakers, and students in Milan to move those hopes closer to reality. Seven IEEE societies are sponsoring the conference. SDL announced that its industry-leading translation management system, SDL WorldServer, has been granted ISO27001 certification by the International Organization for Standardization (ISO), validating the company’s commitment to information security best practices to create and support certified applications. This important designation assures SDL customers that their translation management applications were written and are supported with security in mind, whether their deployment is on premise or SaaS-based. SUSE has launched beta testing of SUSE OpenStack Cloud 6, giving customers an early look at the latest enterprise-ready technology for building Infrastructure-as-a-Service private clouds. Based on the OpenStack release Liberty, SUSE OpenStack Cloud 6 delivers high availability enhancements and non-disruptive upgrades along with Docker and IBM z Systems mainframe support to ease the transition of business-critical applications and data to the cloud. The Liberty-based beta will be demonstrated during this week's OpenStack Summit in Tokyo and at SUSECon in Amsterdam Nov. 2-6. BlackBerry announced that it has appointed Narendra Nayak as its new Managing Director in India. Based in New Delhi, Mr. Nayak will be responsible for driving BlackBerry’s software and services business through all channels in India – direct enterprise customers, network operators, distribution partners and BlackBerry’s growing ecosystem of indirect channels in India, which include Value-Added Reseller (VAR), Systems Integrator and Reseller partners. Quintype, a data-driven publishing company announced it has raised $3.25 million to enhance product and business development. Specifically, the funding will be used to grow the product engineering, and sales teams, across locations in the Bay Area, as well as in Bangalore, India. Oracle announced that a record number of partners are extending their opportunities and revenue potential in the cloud with Oracle. To further support partner business growth in the cloud, Oracle announced a new cloud program within Oracle PartnerNetwork (OPN). This builds on Oracle’s award winning program and enables existing and new Oracle partners to grow their cloud business with Oracle. iValue InfoSolutions announced a distribution agreement with Yubico, the leading provider of simple and open online identity protection. iValue will now be able to offer Yubico's YubiKey two-factor authentication devices to enterprises looking to ensure higher security deployments. Red Hat announced that it has signed a definitive agreement to acquire Ansible, Inc., a provider of powerful IT automation solutions designed to help enterprises move toward frictionless IT. Ansible's automation capabilities, together with Red Hat's existing management portfolio, will help users drive down the cost and complexity of deploying and managing both cloud-native and traditional applications across hybrid cloud environments. With today’s announcement, Red Hat expands its leadership in hybrid cloud management, OpenStack and containers. 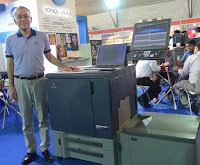 Konica Minolta Business Solutions introduces the bizhub PRESS C71hc to provide enhanced printing services based on the advanced colour reproduction capabilities of the manufacturer’s proprietary high-chroma toner. 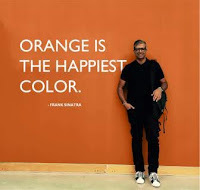 Truly amazing quality results can be achieved for photo books and photo merchandise, promotional materials, and other sophisticated print products. What do you do when you need your house clean- call for domestic help and supervise him/her scrub the floors till they sparkle? Not any longer. Further establishing itself as a front-runner in the field of Domestic Robotics, Milagrown Humantech has announced the launch of Aguabot 4.0, India’s first Robotic Floor Vacuum Cleaner.Now use the most advanced technology to tackle your cleaning requirements in the most humane way possible! Shopo launched by Snapdeal in July this year has achieved an unprecedented 1 million active product listings in just three months. It has also witnessed 200,000+ app downloads, indicating its growing popularity among consumers. With zero-registration charges, quick listing process and an engaging direct-chat interface that replicates seamless offline experience, Shopo is proving to be an enabling platform for small shop owners and individual sellers to conveniently set up online stores. FreeCharge announced that it has crossed 5 million mark in mobile wallet users, a 4x wallet user base growth in less than four weeks. With this momentum, FreeCharge continues to set new records in terms of building user base. It was the fastest to reach 1 million mark within a week of the launch. Customer roll out of the FreeCharge Wallet was initiated on 25th September, making this wallet the first in the country to achieve the milestone of 5 million users within 30 days of customer roll out. Public cloud services revenue in India will reach $731 million by the end of 2015, an increase of $176 million over 2014 revenue of $555 million, according to Gartner, Inc. In 2015, public cloud services revenue is driven by high growth rates in key market segments, such as cloud infrastructure as a service (IaaS), cloud management and security services, and software as a service (SaaS). Mumbai headquartered Sage Software Solutions is a leading ERP, CRM and HCM provider in India channelized through its distributor rights for Sage Asia Pte Ltd.’s path breaking ERP & CRM solutions. With a vision to drive value for their customers, Sage Software Solutions Pvt. Ltd tenders real time access to actionable data to steer business growth for the country’s growing SMEs by enabling Sage X3, Version 7 ERP Solution deployments in India. Amadeus announces the launch of a cutting-edge Travel Intelligence solution for airlines, Amadeus Schedule Recovery, which minimises disruptions to operations caused by external events such as bad weather or air traffic control congestion. Amadeus Schedule Recovery serves as a recommendation engine, using data analytics to help quickly and efficiently identify the most critical issues, and act upon them. 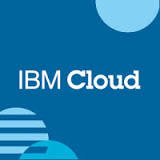 IBM and Wipro announced a collaboration in which Wipro will use the IBM Bluemix cloud development platform for the agile creation and deployment of mobile, analytics and machine learning solutions for clients around the world. As part of the effort, Wipro has committed to train and engage 15,000 of its developers on the platform through a massive online open course across 58 countries. This team of developers will leverage Bluemix as a development platform, resulting in the introduction of new value-added services for the customers of Wipro through Wipro Analytics solutions. Capgemini announced that its global innovation competition, ‘Innovators Race’, is now open for entries. Established to showcase applied innovation and nurture new talent, Innovators Race will draw on the power of creative thinking and the reach of social media to solve genuine business challenges faced by global brands of today. Teams from universities and colleges across the UK, the Netherlands, France, Brazil, North America, and India will be asked to submit their ideas via a one-minute ‘selfie’ style video, uploaded to www.innovatorsrace.com. With mobile apps, it’s easier to shop on the go. But don’t you wish there was someone who could quickly figure out the best price for the products that you shop on your mobile phone? Doesn’t it hurt when your friend tells you that she bought the same product cheaper on a different app? This is exactly the kind of problem that Voodoo attempts to solve. Unisys Corporation announced that leading low-cost carrier AirAsia has cut over to the cloud-based Unisys Logistics Management System (LMS) to manage its domestic and international cargo services across its network of affiliates. Swiss Re and IBM announced that they are developing a range of underwriting solutions that rely on IBM Watson's cognitive computing technologies. One of the first applications will be in Swiss Re's Life & Health Reinsurance business unit. In a move aimed at enhancing user convenience, Paytm has introduced Mobile Wallet top up through Bank ATMs. The service has now been launched with Bank of Maharashtra to provide a unique Wallet top up service to its customers. This partnership will help the Bank’s customers having debit cards to top up their Paytm Wallet through any of the Bank’s 1800 ATMs. The initiative will be rolled out across the country over the next few days. 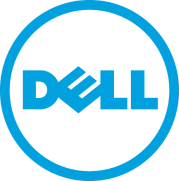 Dell announced a new, full range of security solutions that enable customers to implement a comprehensive enterprise security strategy to protect their organization from evolving threats while strengthening business agility. New future-ready solutions from Dell’s security portfolio include: a new approach to detecting and blocking advanced persistent threats; expanded user security for cloud apps with multi-factor authentication; enhancements to the Dell Data Protection (DDP) suite of data security solutions; management and policy integration across Dell next-generation firewalls (NGFWs), the switch and wireless access point; and new application security services. These new solutions reinforce Dell’s commitment to delivering a full range of security solutions designed to meet the myriad of security challenges a customer faces. AMD announced new AMD Embedded R-Series SOC processors that establish performance leadership across a targeted range of embedded application market requirements for digital signage, retail signage, medical imaging, electronic gaming, media storage and communications and networking. Designed for demanding embedded needs, the processors incorporate the newest AMD 64-bit x86 CPU core (“Excavator”), plus third-generation Graphics Core Next GPU architecture, and state-of-the-art power management for reduced energy consumption. Combined, these AMD innovations and technologies provide industry-leading graphics performance and key embedded features for next-generation designs. SAP announced financial results in the Asia Pacific Japan (APJ) region for its fiscal year 2015 third quarter ending September 30, 2015. Non-IFRS cloud subscriptions and support revenue grew 88%, driving non-IFRS cloud and software revenue up 8%. Trend Micro signed a definitive agreement to acquire HP TippingPoint, a leading provider of next-generation intrusion prevention systems (NGIPS) and related network security solutions. The approximately $300 million agreement encompasses security technology, intellectual property, industry expertise, as well as a large, loyal enterprise customer base. This acquisition positions Trend Micro as the go-to enterprise security provider of dynamic threat defense solutions spanning endpoints, network, data center and the cloud. Trend Micro will also combine current and acquired capabilities to create a Network Defense business unit, serving more than 3,500 enterprise customers. CWCS Managed Hosting has today announced the launch of Premium Cloud Web Hosting, a fully managed yet affordable cloud platform for businesses looking to take the hassle out of running a website. Unisys Corporation announced that its subsidiary in Belgium has been awarded two contracts making the company eligible to provide a range of services to the European Agency for the Operational Management of Large-Scale IT Systems in the Area of Freedom, Security and Justice (eu-LISA). Encap Security, provider of uncompromising authentication for financial institutions, announced today that it has created an advisory board made up of global experts with a vast array of experience within financial services. The formation will enable Encap to accelerate its growth under the guidance of seasoned industry professionals. Confirmit will advise that the rise in use of social media platforms presents Market Researchers with significant new opportunities. At the Research and Results International Trade Show in Munich, Germany on 29 October, Confirmit will highlight new ways to obtain insights into consumer thinking, opinions and attitudes towards major social, political and cultural events of the day. Frost & Sullivan’s GIL 2015: India Executive Congress, now in its seventh year in Mumbai will surely be one of the more talked about industry gatherings of 2015. Senior Executives from more than twenty-four vertical industries joined an elite roster of “who’s who” among the Movers & Shakers of India’s Global marketplace this year with a focus toward Convergence and the opportunities, challenges and innovations emerging as a result to which are radically transforming business as we know it. Distinct products, services, and new business models along with the many changing faces of new technologies have become a driving force by which if not clearly understood and positioned accordingly, companies run the risk of complete and utter disruption. Visionary Innovation and out-of-the-box thinking are paramount for surviving and thriving under such conditions. A banking trojan is targeting Japanese internet banking users and spreading through at least two vulnerabilities: a Flash vulnerability leaked in the HackingTeam hack and the so-called unicorn bug, a vulnerability in Internet Explorer discovered in late 2014. Both exploits are (still) distributed through an adult website and try to install a signed malicious binary designed to steal personal information from the victim. The spreading mechanism reminds us of another banking trojan specifically targeting Japanese financial institutions, Win32/Aibatook. American Tower Corporation, Tata Teleservices Limited, and SREI Infrastructure Finance Limited announced that they, along with several other minority holders, haveentered into a definitive agreement pursuant to which American Tower will acquire a 51% controlling interest in Viom Networks Limited (“Viom”). Viomcurrently owns and operates approximately 42,200 wireless communications towers and 200 indoor distributed antenna systems across India. The total cash consideration will be INR 76 billion. Commvault announced the next generation of its market leading solutions portfolio, delivering a broad spectrum of innovation designed to help customers address the increasing challenges of managing data and information in highly disrupted, fast-paced global business environments. Dell announced new solutions and services designed to help large-scale datacenter customers achieve mission-critical business goals faster and more consistently with less cost and downtime. Dell helps customers with infrastructures that can scale easily and adapt quickly now and into the future with new servers designed specifically for the fastest growing datacenter market, new highest-end enterprise storage arrays and hyperconverged appliances, next-generation data protection software, and new IT deployment and automation services. Intellect Design Arena Ltd, a specialist in applying true Digital Technologies across Banking & Insurance, announced its second quarter results for FY 2015-16 today. Intellect drives some of the most successful digital transformations across Global Consumer Banking, Global Transaction Banking, Risk & Treasury Management and Insurance. 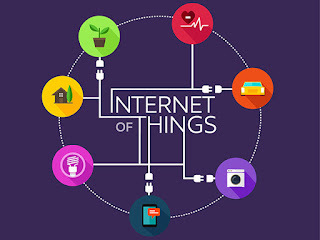 The world’s evolution into an ‘Internet of Things (IoT) universe’ is an inevitable and necessary consequence of the pace of modern life, AVSystem has suggested. Speaking from their booth at this year’s Broadband World Forum, Robert Rylko, VP Business Development at AVSystem, a market leader in advanced customer premises equipment (CPE) and device management for Telcos and ICT Service Providers, said that flexible and comprehensive management is required to cope with the rise of IoT. Sony India unveiled its flagshipXperia Z5 and its super-flagship Xperia Z5 Premiumthe world’s first 4K smartphone– each engineered to make everyday experience better. 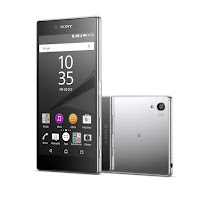 Xperia Z5 and Z5 premium are the latest additions to the Xperia family, which gives a different camera experience with 23MP and 0.03 autofocus. The super-flagship Z5 premium redefines mobile entertainment with the world’s first 4K UHD smartphone display and 4K Ultra HD upscaling technology. PayUbiz introduces the first ever iOS Express Checkout Browser in India. The product has been specially designed for payment collection on mobile. Express Checkout Browser is a set of codes which are given along with the ready SDK (software design kit) to merchants. Once the custom browser is integrated with any app, it designs a completely new payment experience for the consumer. Capgemini Consulting published a new report, “Privacy Please: Why Retailers Need to Rethink Personalization,” which reveals that consumers worldwide are strongly negative about retailers’ privacy initiatives. Texas Instruments introduced a capacitive sensing integrated circuit (IC) family that is immune to environmental noise from sources such as radios, power supplies, lights and motors. The FDC2214 family offers 60x better performance in the presence of noise than existing capacitive-sensing solutions, enabling low-cost capacitive-based human body and object sensing in any environment. The new devices bring the benefits of capacitive sensing to applications that previously relied on other sensing technologies, enabling engineers to deliver noise-immune solutions that offer improved aesthetics, lower system cost and better reliability in automotive, consumer and industrial applications. Fork Media has recently invested in Wi-Fi ad network Spid Info Media Pvt. Ltd. The partnership is in line with Fork’s vision of becoming the leading player in the alternate ad inventory space and is synergistic with its vision of broadening its core offerings. Fork Media will leverage Spid’s technology for advertisers and publishers by offering them one of the largest audience platforms, targeting on-the-go consumers. This festive season Spice Mobiles, India’s leading mobile handset company, is set to launch a wide range of feature rich phones for its consumers at pocket friendly prices. The new smartphone portfolio - X Life Series is focused on the sub-Rs 5,000 segment as the company aims to capture a bigger market share in the Tier II and Tier III markets. The company has lined up a robust portfolio comprising of 40 new phones with never before features in this price range. Exhbit technologies announced the second franchise of the tech extravaganza Exhibit Tech Awards 2015. The prestigious event will be organized on 28th October at Novotel in Mumbai. Awards will be presented across 20 categories in the tech and gadget segment. The winners have been chosen by a panel of esteemed jury members which includes Mr. Brian bade - CEO Relaince Digital, Mr. Ramesh Somani - Founder Exhibit Group & Thetechy.com, Mr. Dabboo Ratnani - Ace Photographer, DJ Aqeel - Ace DJ, Mr. Mahesh Murthy - Renowned VC, Mr. Siddhant Sharma Technology Editor - The Quint. Based on the overall theme of #Harpalhappiness, Asus, today announced its association with CRY – Child Rights and You, a leading non-governmental organization (NGO) that works for the underprivileged children protect their rights in India. It will be based on the Asus’ overall festive season theme called ‘Har Pal Happiness’ and will be a part of its Corporate Social responsibility (CSR) initiative towards giving back to the society. Brocade announced new Network Visibility solutions and a partner ecosystem to empower mobile network operators with critical insights into the traffic within their networks, while also transitioning their visibility infrastructures from being closed and monolithic to software-enabled, open, and disaggregated. Mphasis Limited announced its financial results for the second quarter ended 30th September 2015. It is an HP company which has witnessed slow growth in past few quarters. The rise of cyber-attacks and security breaches are increasing at an exponential rate across the globe. Hackers and cyber criminals are becoming more and more sophisticated and widening the scope of their attacks to new markets with increasing success. BMC announced the BladeLogic 8.7 Intelligent Compliance and SecOps solution to improve digital service adherence to security policies and regulations, reduce known vulnerabilities, and speed audits. With BladeLogic’s new enhancements, companies are better positioned to ensure security and regulatory compliance across the entire digital service lifecycle, from service creation to day two operation to decommissioning. SAP SE announced its financial results for the third quarter and nine months ended September 30, 2015.SAP again delivered strong growth in the cloud, outpacing most pure cloud competitors even without the contribution from the Concur acquisition. Third quarter non-IFRS cloud subscriptions and support revenue grew 116% year-over-year (90% at constant currencies) to €600 million.1 New cloud bookings, the key measure for SAP’s sales success in the cloud, increased 102% in the third quarter to €216 million. Tata Consultancy Services (TCS) announced a Global Alliance Partnership with Tableau Software, a global leader in rapid-fire, easy-to-use business analytics software. Many organizations are leaving the door open to an advanced persistent threat (APT) attack, according to a new cybersecurity study released yesterday at the CSX 2015 cybersecurity conference in Washington DC. Conducted by global IT association ISACA, the study found that more than one in four (28%) have already experienced an APT attack. HP unveiled the results from its sixth annual study in partnership with the Ponemon Institute detailing the economic impact of cyber attacks across both the private and public sectors. The findings reveal a dramatic increase in the overall cost of cyber crime, while providing insight to the most costly cyber crimes and the approaches organizations can take to minimize the impact. ManageEngine announced the availability of runtime application discovery and dependency mapping in Applications Manager, its application performance monitoring solution. Now, enterprises can rapidly visualize and understand application relationships in complex, dynamic environments by drastically trimming down the time and effort required for accurately mapping multi-tier applications to their underlying infrastructure components. SoftAge, a DMS provider, has announced that it is all set to expand its services encompassing diverse industry verticals in Delhi NCR Region. The stance of the DMS Provider to expand across large, medium and small scale enterprises in NCR will offer much impetus for successful implementation of Modi’s Digital India program. As DMS proffers a digital makeover in enterprises and industries, SoftAge can play a crucial role in digitizing the enterprise landscape of NCR. With an entire industry focused on financial inclusion, small finance companies, payment banks and microfinance institutions across India have a new option to improve time to market while focusing on building and serving their customers. FIS, a banking and payments technology player, introduced Banking on Demand, an innovative, hosted solution that enables small banks, payment banks and microfinance institutions to deliver banking capabilities to their customers without the expense and time associated with building out traditional banking infrastructure. 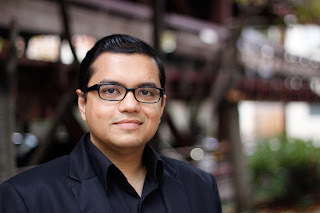 MobiKwik further solidified its leadership position in offline space as it announced processing 5 lac transactions, amounting to INR 600,000,000, at brick and mortar stores. Of the total transactions processed offline, 1 lac have been across all 260 Big Bazaar outlets, India’s biggest supermarket in the country. The company is aggressively expanding its reach in the offline space as it aims to make mobile payments accessible at more than 100,000 retail stores in India in 2015. The technology lag that once existed between India and other key technology markets is closing, according to Gartner, Inc. 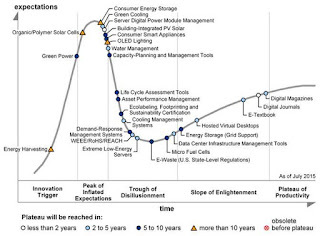 The “Gartner Hype Cycle for ICT in India, 2015” shows that more local vendors are entering emerging technology segments in India, covering areas such as crowdsourcing, disaster recovery as a service and the Internet of Things (IoT). 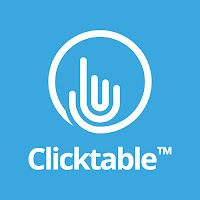 Clicktable Technologies claims that it is all set to metamorphose the restaurant industry in India with its cloud-based front desk management application. The one-of-its-kind cloud-based application will facilitate casual and fine dining restaurants to manage everything from guestbook, reservation, waitlist, events and offers to business analytics, all through a single portal. Shavlik has launched Shavlik Empower, which it claims is a new cloud-based solution that extends the proven power of Shavlik protection to more users, devices and resources. NEC Corporation announced the conclusion of a contract to provide security solutions for one of the world’s newest industrial port complexes at the port of Açu, Brazil. The “Industrial Complex Açu Port” is a Prumo Logística development, a private Brazilian company engaged in infrastructure and logistics. The port consists of two terminals (T1 and T2) located in São João da Barra, in the north of Rio de Janeiro state, approximately 120 km from the Campos Basin area, where the vast majority of Brazil’s oil is produced. Canon unveiled the EOS C300 Mark II Digital Cinema camera at Broadcast India Show in Mumbai today. The evolutionary second generation Cinema EOS 4K camera system for cinema, documentary, event and commercial videography packs in a wide range of new and improved features including 4K/2K/Full HD internal and external recording (including 4K RAW output) and a new 10-bit Canon Log 2 Gamma. Nokia announced that it has received antitrust clearance from the Chinese Ministry of Commerce (MOFCOM) for its proposed acquisition of Alcatel-Lucent. The clearance in China completes the material antitrust review process required for the transaction. Bank of Baroda (BoB) launches Chillr Mobile app and becomes the first public sector bank to partner with Chillr. The association is aimed at providing the customers with a secure and an instant money transfer facility to any contact in their phonebook. Chillr, a first-of-its kind application, is directly linked to the customer’s bank account and can transfer money to any person in India, once he/she downloads the app and registers. Cube26, an India based technology innovation focussed company, announced that it has received funding from Flipkart, India's leading e-commerce marketplace. The company has raised capital of Rs.50 crores in the seed round of funding led by Tiger Global Management and Flipkart collectively. Cube26 plans to utilise the funds to leverage its software expertise across devices and expand team across the stack. Panasonic India announced the launch of the world’s first 20-inch tablet PC with 4K resolution display in India, the Toughpad FZ-Y1. Building on a legacy of nearly two decades of enterprise-built devices, Panasonic’s newest rugged device is Product Specifications. Crown-it puts a different spin on cashback offers with its ‘Spinning Wheel’! In an announcement which is set to delight its customers, merchant discovery and privileges platform Crown-it recently announced the launch of its ‘Spinning Wheel’ on its app. Through this feature, Crown-it users making purchases can now opt to spin the wheel to select a cashback while making payments. What makes the proposition even more interesting is the fact that Crown-it will offer its customers with a few free spins, so if they don’t like the cashback, they can spin the wheel again! Kodak Alaris is launching both Arabic Interface and Arabic TWAIN drivers to its scanners capable of displaying Arabic text in its LCD Panels. The new i2000 range for the Middle East and North Africa region will be able to display Arabic text for job setups or Smart Touch, unlocking the business potential in document management for Arabic speakers. ARM, a speciality distributor of cyber security and digital forensics solutions, announced yesterday that effective immediately, it will be rebranded as Credence Security. The purpose of this rebranding exercise, which includes a new logo, is to better reflect Credence’s position as one of the most trusted providers of cyber security, digital forensics and IT security solutions in the Middle East, Africa and India. Infosys announced a definitive agreement to acquire Noah Consulting , LLC, a provider of advanced information management consulting services for the oil and gas industry. This acquisition was an all-cash deal, with an aggregate purchase consideration of US$70 million. 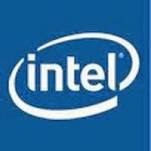 Creative Peripherals, one of India's leading distribution networks in IT, Imaging, Telecom and Lifestyle products, has been appointed as the National Distributor by Samsung Electronics, one of the global leader of Consumer Electronics, IT and Telecom products, offering the most-trusted and ultra-reliable products across the country. Creative Peripherals will market Samsung monitors, which are well known for their aesthetics and quality. This association with Samsung is not only prestigious for CPDPL but it will also allow company to extend better value to partners. ADATA Technology announced that Premier PT100 and PV150 power banks have received BIS certification. This indicates the use of high quality batteries, materials, as well as top-grade manufacturing processes. The seal of approval is of considerable importance to vendors and personal users looking for BIS-approved products. iValue InfoSolutions announced its appointment as a VAD for HP Big Data Solutions portfolio in India. HP Big Data Solutions are compelling and complementary to iValue's portfolio, comprising Hitachi Data Systems Information management and Quantum tape solutions. This VAD relationship will enable iValue's partners to address business and IT challenges of customers around the areas of Big Data and Application protection and management. IBM and Infosys announced a collaboration in which Infosys will tap Bluemix, IBM’s Cloud platform to rapidly prototype, develop and deploy the next generation of Cloud apps for its global client base. Sandip Das, former Reliance Jio MD, former Maxis Group CEO, former CEO of Hutchison Essar Telecom (now Vodafone India), and a stalwart of the telecoms industry will join global telecoms and media consulting firm Analysys Mason as a senior adviser, starting Monday, 2 November. Avaya have announced the implementation of Avaya’s SDN Fx technology within Burj Khalifa, the world’s tallest building. This next-generation technology infrastructure will enable guests, tenants, and IT teams to enjoy the best network quality experience, with no downtime. Microsoft announced its partnership with budget accommodation marketplace, WudStay to make hotel bookings more accessible and convenient for its users on the Windows platform. The association would include both brands working together to bring exclusive offers and features to the WudStay app for consumers on the Windows platform. Commvault has today announced that PFD Food Services, the largest privately-owned food distributor in Australia, is using Commvault to ensure the protection and high availability of its strategic data assets in its journey to the cloud. Cisco and NetApp marked five years of delivering unprecedented value to customers with FlexPod integrated infrastructure solutions. The NetApp and Cisco FlexPod collaboration – has helped simplify and modernize enterprise IT so that organizations can achieve better business outcomes. FlexPod customers benefit from proven technology, a strong partner ecosystem and the ability to rapidly integrate new innovations. Customers and partners can choose from more than 100 validated application and infrastructure designs that increase productivity, speed decision making and produce stronger business results. Indians are far ahead of their Asian counterparts in the use of social media to get customer service response from companies. 71% Indians have used social media at least once in the past one year for customer service, more than twice that of Japan (29%) and ahead of Hong Kong (50%), as per the findings of the American Express® Customer Service Barometer released today. WizIQ’s conclave EdTech.Now sets a benchmark in the field of education! Hinting at a paradigm shift in the way education technology is approached, WizIQ, one of world’s largest online education platforms, recently concluded its highly successful EdTech.Now conclave. Organised in partnership with Cambridge University Press India and Microsoft, the one-of-its-kind event was held on October 15 in New Delhi and was attended by over 300 visionaries, investors, edtech innovators, and media personnel. VMware has announced that it plans to acquire Boxer, a privately held company that offers a comprehensive and secure personal information management (PIM) solution for mobile devices to businesses and consumers. Under this partnership, Facebook and NASSCOM will be launching a new program for developers and students called ‘Leaders Building for the Next Billion’. The program will help developers and students who are building large-scale innovative apps and mobile websites for new-to-internet users by providing them with technical and financial support and resources. Panasonic India announced the release of two new affordable smartphones, the P50 Idol and P65 Flash, ahead of the festive season. Priced at Rs. 6,790 and Rs. 8,290 respectively, the phablets make for the ideal gifting purchase, with Panasonic now offering a diversified range of smartphone models for every buyer. Indian banks are scared and getting sleepless nights as the Russian software virus 'Tyupkin' has stolen millions of rupees from the ATMs across India. It is a deadly virus that has spread across ATM systems in India. The virus works smartly as it first sends the ATM machines into a maintenance mode and then forces them to vomit cash. The cash goes unrecorded. Talentedge has collaborated with MICA, India’s premier management school for strategic marketing and communication to offer students an industry-first PG Certificate Programme in Marketing and Brand Management. The four-month programme has been carefully designed by MICA to provide students a comprehensive view of various practical and applicable aspects of Marketing and Brand Management. Commencing on 28th October, 2015, it entails two hours of study on weekdays and includes lectures from eminent faculty and industry experts from India. NIIT Limited, a provider of managed training services announced today that it has been awarded a multi-year contract to provide managed training services to Citi in the Europe Middle East and Africa region. Visa and FireEye announced the launch of Visa Threat Intelligence, Powered by FireEye. Tailored to the needs of the payments industry, this new service will deliver real-time threat information to merchants and issuers so they can quickly assess and act on the most critical cyber attacks that could breach their payment systems. Hansa Cequity, India’s customer marketing company, announces the launch of Marketing Technologies Centre of Excellence (MTCoE) in Mumbai. The centre is designed to provide Cequity’s customers proven marketing solutions and methodologies in today’s data driven business ecosystem leveraging IBM’s marketing cloud technologies and Cloud solutions. Intel Corp. fell in German trading session after saying a slowdown in demand from corporations threatens to curb sales at its server-chip division -- one of the few bright spots at a company beset by a personal-computer slump. Capgemini announced the appointment of Philippe Christelle as Chief Ethics & Compliance Officer (CECO) of the Capgemini Group, an addition to his role as Capgemini’s Chief Audit Officer (CAO). He replaces Hervé Canneva who recently retired. Philippe will drive the implementation, development and promotion of Capgemini’s Ethics & Compliance program. Skyscape Cloud Services has been selected by health informatics specialist, Aridhia, to host its AnalytiXagility platform, which will enable data-driven projects to be executed more quickly, accelerating clinical research into illnesses such as heart disease, obesity and diabetes. AnalytiXagility is delivered as a Software-as-a-Service (SaaS) via Skyscape’s assured cloud infrastructure, which maximises flexibility and cost control for organisations due to its usage-based charging model. In the wake of judgement passed by the Supreme Court of India which had held the view that Chargers, should be classified as accessories even when it is bundled with Mobiles in a composite / single corrugated box, various State Governments have already started demanding separate VAT on mobile chargers by treating it as an accessory for the purpose of taxation. This has generated great uncertainty which has been prevailing in the minds of investors. The Indian Cellular Association has urged the Government of India to urgently take this up with the State Governments to issue general clarification on accessories based on the Customs Accessories (condition) Rules, 1963. Elitecore Technologies, (a Sterlite Technologies Company) is a global provider of Next-generation BSS and Packet Core solution, announces two major wins in Southeast Asia with its end-to-end Convergent, Real time, Pre-integrated MVNE/O platform enabling rapid service delivery & customer care to meet pertinent growth aspects of MVNE/O such as Revenue Generation, Service Differentiation & Cost Optimization. HP announced the launch of the OpenSwitch community and a new open source network operating system (NOS). HP and key supporters, Accton Technology Corporation, Arista, Broadcom, Intel, and VMWare, are delivering a community-based platform that provides developers and users the ability to accelerate innovation, avoid vendor lock-in and realize investment protection as they rapidly build data center networks customized for unique business applications. Adobe announced significant new e-sign capabilities in Document Cloud that will make electronically signing documents and contracts easier than ever before. New functionality includes a visual drag-and-drop Workflow Designer, digital signatures (a more advanced, secure form of e-signatures) and Enterprise Mobility Management and Signature Capture that makes on-the-go signing a breeze. Adobe also announced expanded partner integrations with Workday, Salesforce and Ariba, making it easier for organizations to quickly add e-signing capabilities to their existing HR, sales, procurement and legal systems. Avaya, a global leader in business communications software, systems and services, today announced it has established a new legal entity to drive its operations in China. The move is intended to enhance localization in this strategic market to provide better support for Greater China customers and partners. CIGNEX Datamaticsannounces the launch of OpeRA (Open Source Readiness Assessment), a quick assessment online tool as part of its Open Source Consulting Services. This tool helps organizations in evaluating IT portfolio and developing a roadmap for digital transformation to improve business alignment.